The 91st Academy Awards ceremony, presented by the Academy of Motion Picture Arts and Sciences (AMPAS), honored the best films of 2018. The ceremony was held on February 24, 2019 at the Dolby Theatre in Hollywood, Los Angeles, California. AMPAS presented Academy Awards in 24 categories. The ceremony was televised in the United States by the American Broadcasting Company (ABC) and produced by Donna Gigliotti and Glenn Weiss, with Weiss also serving as director. It was the first ceremony in three decades, since the 61st Academy Awards in 1989, to be conducted with no host. In related events, the Academy held its 10th Annual Governors Awards ceremony at the Grand Ballroom of the Hollywood and Highland Center on November 18, 2018. The Academy Scientific and Technical Awards were presented by host actor David Oyelowo on February 9, 2019 in a ceremony at the Beverly Wilshire Hotel in Beverly Hills. Continuing a trend of recent years, the awards were widely divided between several films; for the first time in four years, each of the eight nominees for Best Picture won at least one award. 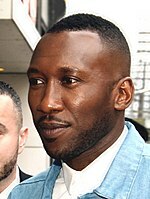 Green Book won three awards, including Best Picture, but became just the fifth film to win the top prize without a nomination for Best Director. 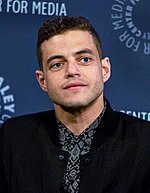 Bohemian Rhapsody led the ceremony with four awards, including Best Actor for Rami Malek's portrayal of Freddie Mercury, winning in every category in which it was nominated except Best Picture. Ironically, top winners Green Book and Bohemian Rhapsody had tied for the fewest nominations (five) among the Best Picture nominees. 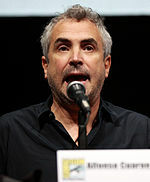 Roma and Black Panther also received three awards apiece, with the former winning Best Director for Alfonso Cuarón and becoming the first Mexican submission to win Best Foreign Language Film. 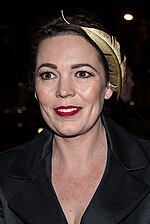 Olivia Colman was awarded Best Actress for portraying Anne, Queen of Great Britain, in The Favourite. With U.S. viewership of 29.6 million, it marked a 12% increase over the 2018 ceremony, but still ranks among the least-watched shows in Oscar history. The nominees for the 91st Academy Awards were announced on January 22, 2019 at 5:20 a.m. PST (13:20 UTC), at the Academy's Samuel Goldwyn Theater in Beverly Hills, by actors Kumail Nanjiani and Tracee Ellis Ross. Emilia Clarke Introducer of the performance of Best Original Song nominee "I'll Fight"
Keegan-Michael Key Introducer of the performance of Best Original Song nominee "The Place Where Lost Things Go"
Kacey Musgraves Introducer of the performance of Best Original Song nominee "When a Cowboy Trades His Spurs for Wings"
Queen + Adam Lambert Performers "We Will Rock You" & "We Are the Champions"
Due to the last two ceremonies' mixed receptions and declining ratings (with the previous ceremony being the least viewed in the history of the Academy Awards), producers Michael De Luca and Jennifer Todd declined to helm the 2019 awards, and were replaced by Donna Gigliotti and Glenn Weiss. In August 2018, the Academy announced plans to add a new category honoring achievement in "Popular Film". The proposal was met with wide criticism, as the award's implied focus on blockbuster films was considered to be demeaning towards artistic films and other non-mainstream pictures (with the award's title suggesting that such films were not "popular"), that it could diminish the chance for critically-successful mainstream films to also be nominated for Best Picture (such as, in particular, Black Panther, although the Academy stated that a single film could be nominated in both categories), and for being a ploy to boost ratings. The Academy announced the following month that it would postpone the new category in order to seek additional input. Academy president John Bailey admitted that the proposed category was intended to help improve viewership, and noted that the concept of a separate award for commercial film dates back to the 1st Academy Awards (which had separate categories for "Outstanding Picture" and "Best Unique and Artistic Picture"). In January 2019, it was reported that as part of an effort to shorten the ceremony, only two of the nominees for Best Original Song ("All the Stars" and "Shallow") would be performed live. After a negative reaction from audiences and industry musicians, including Lin-Manuel Miranda and members of the music branch, the Academy backtracked and announced that all five songs would be performed (although Variety later reported that "All the Stars" would not be performed due to "logistics and timing" issues with the song's performers). The following month, the Academy announced that the presentation of the awards for Best Cinematography, Best Live Action Short Film, Best Film Editing, and Best Makeup and Hairstyling—would occur during commercial breaks. They said that these presentations would be streamed so viewers could watch them live online, and that the winners' acceptance speeches would be replayed later in the broadcast. 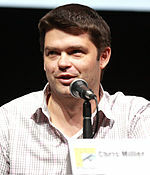 The decision received extensive backlash from audiences, and from filmmakers including Guillermo del Toro, Christopher Nolan, Martin Scorsese, Quentin Tarantino, Damien Chazelle, Spike Lee, Joe Dante and Alfonso Cuarón (the latter of whom was nominated and won in one of the aforementioned categories). Four days later, the Academy reversed the decision and announced that all 24 categories would be presented live. The 90th Academy Awards in 2018 had the lowest Nielsen ratings of all time, with less than half of the 57.25 million viewers of the 70th in 1998. In October 2018 the Academy asked Dwayne Johnson to host the 91st ceremony, believing that the popularity of Hollywood's highest-paid actor would help increase the audience. Johnson immediately began planning what he described as an "audience first" show, but could not change his schedule of filming Hobbs & Shaw and a Jumanji sequel. After considering using one host for each of the three hours, on December 4, 2018, the Academy announced that Kevin Hart would host the ceremony. Hart expressed that it was truly an honor and a thrill to be asked to host the Academy Awards." A controversy emerged when past jokes and comments made by Hart were found to contain anti-gay slurs and language; Hart withdrew from hosting duties on December 6, saying he did not want to be a "distraction" to the ceremony. Previous Oscar hosts such as Seth MacFarlane, Ellen DeGeneres, Neil Patrick Harris, Chris Rock, and Jimmy Kimmel expressed no interest in hosting the show. On January 9, 2019, it was reported that the Academy planned to hold the ceremony without a host, and instead have selected presenters introduce segments and awards. No replacement host was announced, and it became the first ceremony without a designated host since the 61st Academy Awards in 1989. At the time of the nominations announcement on January 22, 2019, the combined North American box office gross of seven of the eight[lower-alpha 1] Best Picture nominees was $1.261 billion, the highest total for Best Picture nominees since the 83rd Academy Awards in 2011. The average per-film gross was $157 million, although only three films (Black Panther, A Star Is Born and Bohemian Rhapsody) had actually made over $50 million before the announcement. Thirty-two nominations went to twelve of the year's fifty top-grossing movies. Of those, only seven films—Black Panther (1st), Incredibles 2 (3rd), Bohemian Rhapsody (12th), A Star Is Born (13th), Ralph Breaks the Internet (14th), Spider-Man: Into the Spider-Verse (18th) and Green Book (46th)—were nominated for Best Picture, Best Animated Feature or any of the directing, acting or screenwriting awards. The other top 50 box-office hits that earned nominations were Avengers: Infinity War (2nd), Solo: A Star Wars Story (10th), A Quiet Place (15th), Mary Poppins Returns (19th), Ready Player One (24th), and Christopher Robin (34th). The American telecast drew 29.6 million U.S. viewers, a 12% increase in viewership over the 2018 ceremony (which were the lowest-rated Academy Awards to date). 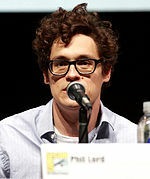 The show also drew a 7.7 rating for the 18–49 demographic. The annual In Memoriam segment was introduced by the President of the Academy John Bailey with Gustavo Dudamel conducting the Los Angeles Philharmonic on the notes of the "Leaving Home" theme from Superman by John Williams. 1 2 Netflix, which distributed Roma, does not publicly release information on the financial performance of its films. ↑ Adalian, Josef (February 25, 2019). "Oscars See Ratings Bump, Host Be Damned". Vulture. ↑ Patten, Dominic (February 25, 2019). "Oscar Ratings Up From 2018 To 29.6M Viewers With Hostless Show". Deadline Hollywood. ↑ Rourke, Robert (February 25, 2019). "Oscar ratings 2019: 13 percent spike after all-time low in 2018". New York Post. Retrieved February 25, 2019. ↑ Goldstein, Micheline (September 4, 2018). "The Academy to Honor Kathleen Keneedy, Marvin Levy, Frank Marshall, Lalo Schifrin and Cicely Tyson with Oscars at 2018 Governors Awards". Academy of Motion Picture Arts and Sciences. Archived from the original on September 4, 2018. Retrieved September 4, 2018. ↑ Moreau, Jordan (February 11, 2019). "Academy's Sci-Tech Awards Honor Motion Graphics, Facial Capture Technology, Adobe". Variety. Archived from the original on February 10, 2019. Retrieved February 10, 2019. ↑ "Oscars 2019: Green Book wins best picture as Rami Malek and Olivia Colman reign – as it happened". The Guardian. February 24, 2019. Retrieved February 25, 2019. ↑ Patten, Dominic (February 25, 2019). "Oscar Ratings Rise Over All-Time Low of 2018 with Hostless ABC Show". Deadline Hollywood. Retrieved February 25, 2019. ↑ Pallotta, Frank (February 25, 2019). "Oscars ratings rebound after record low year". CNN. Retrieved February 25, 2019. ↑ Nardine, Saad (January 18, 2019). "Tracee Ellis Ross and Kumail Nanjiani to announce Oscar nominations". Chicago Tribune. Archived from the original on January 18, 2019. Retrieved January 18, 2019. ↑ "Oscars 2019: Roma and The Favourite vie for glory with 10 nominations each". The Guardian. January 22, 2019. Retrieved January 23, 2019. ↑ Aridi, Sara (February 24, 2019). "2019 Oscar Winners: The Full List". The New York Times. Retrieved February 25, 2019. ↑ Hammond, Pete (September 5, 2018). "Governors Awards Honorees: Kathleen Kennedy, Frank Marshall, Marvin Levy, Lalo Schifrin & Cicely Tyson". Deadline Hollywood. Archived from the original on September 5, 2018. Retrieved September 5, 2018. ↑ Ellwood, Gregory (September 5, 2018). "Cicely Tyson & Kathleen Kennedy 2018 Governors Awards Recipients". The Playlist. Archived from the original on September 5, 2018. Retrieved September 5, 2018. ↑ Thompson, Anne (September 5, 2018). "2018 Academy Governors Awards Include Kathleen Kennedy and Frank Marshall, and Cicely Tyson". IndieWire. Archived from the original on September 5, 2018. Retrieved September 5, 2018. ↑ Bahr, Lindsey (September 5, 2018). "Academy announces Governors Award honorees". The Journal Gazette. Archived from the original on September 5, 2018. Retrieved September 5, 2018. ↑ Butler, Karen (September 5, 2018). "Cicely Tyson, Kathleen Kennedy to be honored at the Governors Awards". UPI. Archived from the original on September 5, 2018. Retrieved September 5, 2018. ↑ Sinha-Roy, Piya (September 5, 2018). "Cicely Tyson, Kathleen Kennedy break new ground with honorary Oscars". Entertainment Weekly. Archived from the original on September 5, 2018. Retrieved September 5, 2018. ↑ Yang, Rachel. 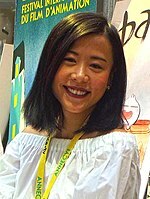 "Chris Evans, Brie Larson, Awkwafina, Constance Wu Among Oscar Presenters". Variety. Archived from the original on February 4, 2019. Retrieved February 4, 2019. ↑ "Oscars Presenters 2019: Last year's Oscar-winning actors to return". oscar.go.com. Retrieved February 7, 2019. ↑ Hipes, Patrick. "More Oscars Presenters: Jason Momoa, 'Black Panther' Pair Among Additions". Deadline Hollywood. Archived from the original on February 11, 2019. Retrieved February 11, 2019. ↑ Burlingame, Jon. "Bette Midler to Perform on the Oscars". Variety. Archived from the original on February 16, 2019. Retrieved February 16, 2019. ↑ "Queen to Perform at Oscars". Variety. Archived from the original on February 18, 2019. Retrieved February 18, 2019. ↑ "The Academy on Twitter". Retrieved February 18, 2019. ↑ "Round 3: A dozen more stars take Oscars stage". oscar.go.com. Retrieved February 19, 2019. 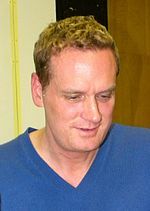 ↑ Pedersen, Erik (October 22, 2018). "Donna Gigliotti to Produce 91st Oscars; Glenn Weiss Is Co-Producer". Deadline Hollywood. Archived from the original on October 22, 2018. Retrieved October 22, 2018. ↑ Kilday, Gregg (October 22, 2018). "Donna Gigliotti, Glenn Weiss to Produce 91st Academy Awards". The Hollywood Reporter. Archived from the original on October 22, 2018. Retrieved October 22, 2018. ↑ Sharf, Zack (August 8, 2018). "Oscars: The Academy Confirms Movies Eligible for Best Popular Film Can Also Compete for Best Picture". IndieWire. Archived from the original on August 14, 2018. Retrieved August 14, 2018. ↑ VanDerWerff, Todd (August 9, 2018). "The Oscars' new "popular film" category is a bad idea from a panicked organization". Vox. Archived from the original on August 26, 2018. Retrieved October 22, 2018. ↑ Zacharek, Stephanie (August 8, 2018). "The Oscars' New 'Popular Film' Category Confirms That Hollywood Thinks We're Stupid". Time. Archived from the original on August 9, 2018. Retrieved October 22, 2018. ↑ Buchanan, Kyle (August 8, 2018). "The Oscars Made Some Dumb Decisions Today". Vulture. Archived from the original on August 28, 2018. Retrieved October 22, 2018. ↑ Sharf, Zack (August 8, 2018). 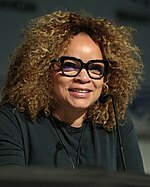 "Oscars Slammed by Film Journalists for Creating 'Best Popular Film' Category, Especially in the Year of 'Black Panther'". IndieWire. Retrieved February 25, 2019. ↑ Kilday, Gregg (September 6, 2018). "Academy Postponing New Popular Oscar Category". The Hollywood Reporter. Archived from the original on October 22, 2018. Retrieved September 6, 2018. ↑ Desta, Yohana. "The Best-Popular-Film Oscar Was an Attempt to Save Ratings, Academy President Confirms". HWD. Retrieved February 25, 2019. ↑ Burlingame, Jon (January 24, 2019). "Oscars: Most of the Best Song Nominees Won't Perform on Telecast". Variety. Retrieved January 24, 2019. ↑ Yang, Rachel (January 25, 2019). "Lin-Manuel Miranda Responds to Oscars Best-Song Performance Shocker: 'Truly Disappointing'". Variety. Retrieved January 25, 2019. ↑ Harris, Hunter (January 31, 2019). "The Academy Has Been Shamed into Allowing All 5 Original Song Nominees to Perform at the Oscars". New York. Retrieved January 31, 2019. ↑ Tapley, Kristopher (February 21, 2019). "Oscars: Kendrick Lamar and SZA Will Not Perform 'Black Panther' Song". Variety. ↑ Hammond, Pete; Pedersen, Erik (February 11, 2019). "Oscars: Academy Confirms Four Categories To Be Presented During Commercial Breaks". Deadline Hollywood. Retrieved February 11, 2019. ↑ Tapley, Kristopher (February 11, 2019). "Academy Confirms Four Oscar Presentations Set for Commercial Breaks". Variety. Retrieved February 11, 2019. ↑ Donnelly, Matt. "All Oscar Categories to Air Live After Hollywood Protest". Variety. Retrieved February 15, 2019. 1 2 Keegan, Rebecca (February 20, 2019). "The Politics of Oscar: Inside the Academy's Long, Hard Road to a Hostless Show". The Hollywood Reporter. Retrieved February 25, 2019. ↑ "Kevin Hart to host the 2019 Oscars". Academy of Motion Picture Arts and Sciences. December 4, 2018. Archived from the original on December 4, 2018. Retrieved December 5, 2018. ↑ Sperling, Nicole (December 4, 2018). "Kevin Hart to Host 91st Academy Awards in February". Vanity Fair. Archived from the original on December 5, 2018. Retrieved December 5, 2018. ↑ Tapley, Kristopher (December 7, 2018). "Kevin Hart Steps Down as Oscar Host". Variety. Archived from the original on December 7, 2018. Retrieved December 7, 2018. ↑ Fortin, Jacey (December 6, 2018). "Kevin Hart's Response to Criticism Over Homophobic Tweets: 'People Change'". The New York Times. ISSN 0362-4331. Archived from the original on December 7, 2018. Retrieved December 7, 2018. ↑ Wilkinson, Alissa (January 11, 2019). "Why no one wants to host the Oscars". Vox. Archived from the original on January 11, 2019. Retrieved January 11, 2019. ↑ Donnelly, Matt (January 9, 2019). "After Kevin Hart Debacle, Oscars Forge Ahead Hostless". Variety. Archived from the original on January 9, 2019. Retrieved January 9, 2019. ↑ "2018 Academy Awards and Nominations and Winners by Category". Box Office Mojo. Retrieved February 24, 2019. ↑ McNary, Dave (January 22, 2019). "Oscars: 'Black Panther' Leads Best Picture Nominees to Near-Record Box Office Grosses". Variety. ↑ VanDerWerff, Todd (January 22, 2019). "The 2019 Best Picture nominees have one of the biggest combined box office tallies ever". Vox. ↑ Saperstein, Pat (February 24, 2019). "Oscars In Memoriam: Penny Marshall and Burt Reynolds Among Those Remembered". Variety. Retrieved February 25, 2019.